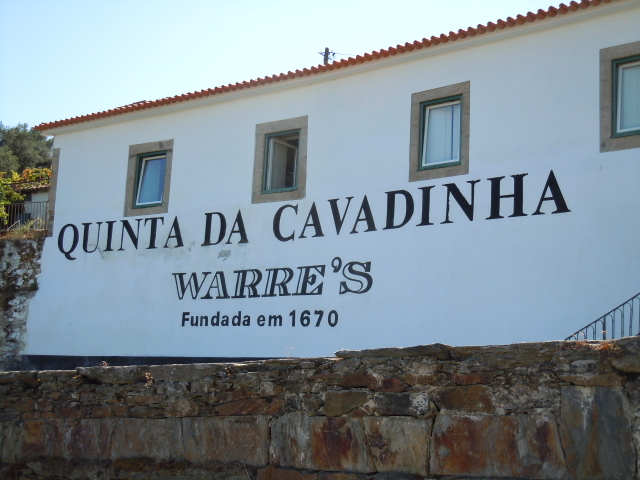 Warre’s has been leading the Port trade since it was established as the first British Port House in 1670. Warre’s Vintage port wines combine elegance, length and balance whilst still retaining the underlying rich opulence of great Vintage Port. This unsurpassed style is derived from the inherent characteristics of Warre’s two principal vineyards: Quinta da Cavadinha and Quinta do Retiro Antigo. They complement each other very well. Cavadinha’s location, aspect and altitude translate into a cooler ripening cycle providing the freshness, fine subtle floral aromas and ideal acidity, the latter contributing significantly to the wines’ longevity. Retiro Antigo’s location in the hotter Rio Torto Valley, combined with the fact that just over 70% of the vineyard is made up of old, mixed vines, results in wines that show great intensity, concentration and complexity. Their powerful structure also provides great staying power. Please note that this is a rare magnum format. Historic 200 anniversary of the liberation of Oporto edition - Only 500 cases made. Regarded as 'exceptional' by Symington's (who own the property) this 2009 has a very enticing perfumed aroma of cassis, eucalyptus and violets. Lifted floral notes meet mint and dark chocolate, as well as robust bramble fruit and pepper. "Black pepper, sealing wax, spices, and toast are found in the nose of the potentially exceptional 2003 Warre Vintage Port. A concentrated, backward effort, its youthful, classically ungenerous, masculine character reveals black pepper laced dark fruits. Silky-textured in its immensely endowed mid-palate, this top-flight effort displays an admirably long, tannin-filled finish. It will require serious cellaring. Projected maturity: 2030-2050." Pierre Rovan, Wine Advocate. Deep ruby colour. On the nose excellent floral aromas of rock rose (Esteva) and fresh blackberry fruit. On the palate good structure and length with fresh fruit flavours an hints of dark chocolate and spicy mint. A long lingering finish. Heavy rain at the start of the year were able to support the vines through the dry spring and very hot summer. The grapes achieved perfect ripeness with high levels of sugar. This wine is very aromatic with black cherry, plum, dark chocolate and suede notes. A very silky texture with rich chocolate flavours, licorice, cloves, and lots of plum. The tannins are soft and integrated and there is a very long, delicious finish. Definitely a beauty! From the outstanding 1985 Vintage these are in A1 condition having been stored at Warres cellars in Oporto before being recently shipped to us. Reviews: "Lovely orange skins nose, together with nuts and figs. On the palate, it has finesse, elegance and such a sweet kickback. Massively enchanting and, now it is over the magic 20 years, perfection to drink." Light red colour with just a touch of purple showing through. Warre has drier firm style, less show more workman-like but with elegance and what the Symingtons call “florals”. The style at 25 years is charming. It’s above all harmonious with a dried fruit and almonds undercurrent mixed with a pinch of cocoa and tea leaf. It has fine acidity and length with just the right bite in the back end. "Perfumed chocolate and spice nose. Floral hints, rich palate. Great elegance". Rich and highly concentrated, it has evolved into to open into a superb Port. Fragrant cassis and prunes nose, fleshy texture, loaded with ripe berry flavours, mellow tannins and a lush fruity finish. Powerful, yet impressively balanced. The 1977s have reached the middle stage of what will prove to be a long and distinguished life. Hugely enjoyable now and it will only get better. “Very serious wine, still challenging, with almonds, figs and prunes, all dribbled with bittersweet chocolate. Warm and embracing…”. “Gloriously vibrant wet violets nose. What a marvellous mouthful of sweet, voluptuous roses and raisins. Superb – and so youthful”. "…sweet, full-bodied, rich, almost too rich, yet not overpowering, with the perfect weight and balance I expect from Warre at its best." This bottle from the good 1975 vintage is a rare Tappit Hen format recently released by Symmington Estates from their cellars in Porto. The 1975 Warre vintage port scored 86/100 points (parker), this port is medium ruby coloured port about 40% opacity with a citrus nose with a little smoky oak, some liquorice, mocha, caramel. Good body and finish. Private Cellar Special Release Vintage Port In Original Solid Oak Gift box as illustrated. Warres Private Cellars is a special Limited release from the Symington Family Estate. A very rare late release of the 1969 vintage bottled in 1973. The Warre 1966 has a unique mineral-scented character that gives the port its own complexity and style. Outstanding Vintage Port from one of the best vintages of the last century. This bottle is part of a 300+ bottle 1963 port collection that was laid down as birth present. It remained perfectly stored in the original family cellars until purchase by VWP. The bottles have branded capsules and were stored unlabelled. We have added a new facsimile label for presentation purposes - if preferred, these can be supplied unlabelled. This wine is now beginning to reach its full maturity and is likely to be ready for drinking. As it ages further, it will begin to develop gently into a more tawny style wine. Intense, structured with a nice soft finish." Almost perfect in its maturity. Still delicious. "A powerhouse port that has been mellowed and opened up by time. Now in its 43rd year, its tannins have softened to reveal dark fruit flavors, herbaceousness and plenty of grip in the finish." Wine Spetator, 2003.